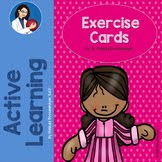 The Peaceful Playgrounds set of Exercise Cards are easy to use and describe the exercises in the set, as well as, have an illustration for each task card. They are a great idea for brain break activities inside or perfect for warm-up exercises in physical education class held outside. 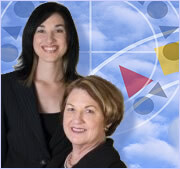 The digital download provides instant access to the pdf format of 12 exercise cards. This makes a great edition to the Peaceful Playgrounds line of products for a quick instant activity or warm-up that can be student lead. 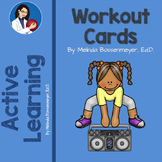 This set of 12 workout cards shows an illustration of the various exercises to be performed. Set includes: Push ups, leg lifts, bent knee toe touches and more. 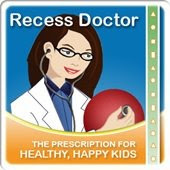 Great for Brain Breaks and indoor recess or physical education.